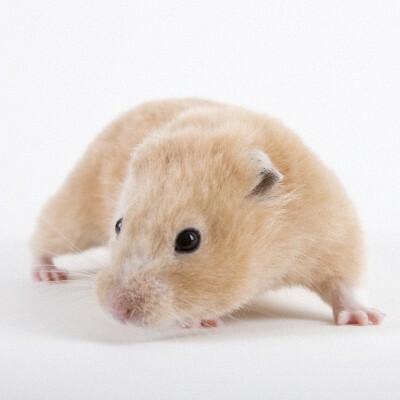 If you purchased a hamster, it is very important that he was able to move a lot. In nature these animals lead a very active lifestyle. Home hamster, even in the large cage to run around, especially anywhere. Usually this problem successfully solves the running wheel. 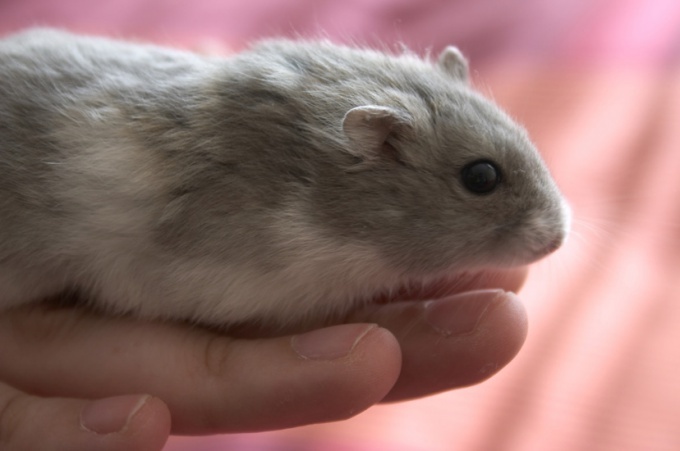 But not all hamsters once you know, what is this thing. How do they help? First of all, you must choose the right wheel for your pet. Check the wheel size: the diameter must be at least 18 see If the hamster is in the wheel closely - he may refuse to run, or you have back problems, because he will have to arch your back while running. Check whether spinning the wheel, you do not have the animal to exert too much effort to move it. Spin the wheel yourself by hand if it turns tight, lubricate the axle with oil. 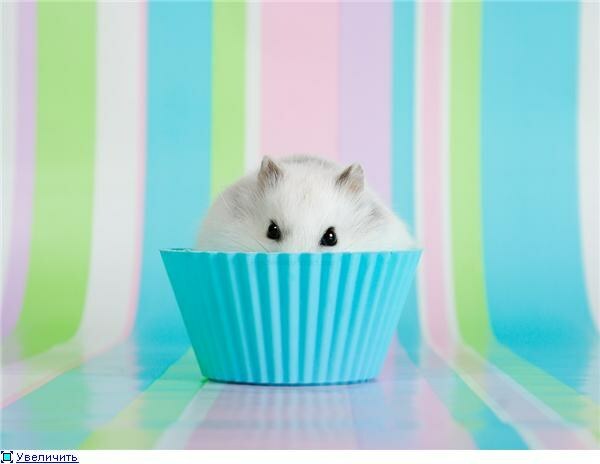 For the safety of the hamster, it is important that on his way there was no cross spokes. Otherwise there is a risk that the baby hurt his foot. Therefore, it is better to buy wheels with a solid work surface. A good option would be a wheel, fully closed on one side and open on the other so that the hamster can easily use it and come back. Making sure the wheel meets all the necessary requirements for the safety and convenience of the animal, I can meet a hamster with his running machine. Gently put the pet into the wheel and cover the exit with his hand or a sheet of paper. The animal needs to instinctively move forward to make the wheel start spinning. If he does not know to do this, try to help him with treats. Do not worry if your pet will not immediately excitedly to run in the wheel - he needs to get used to the new object. Treat the baby treat every time he shows interest in the wheel. 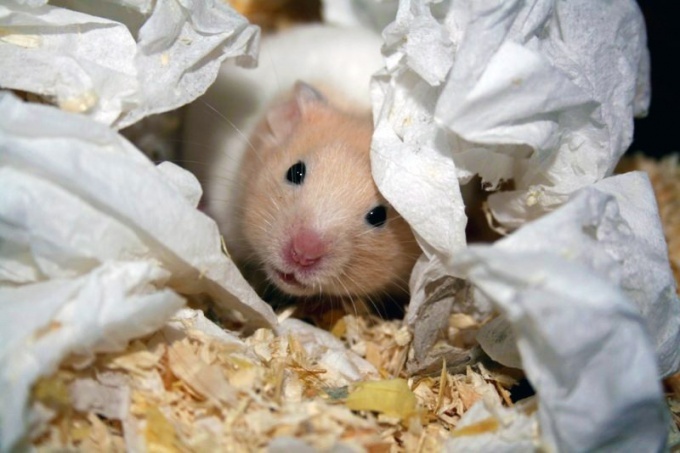 Don't forget that hamsters are most active in the evening and night - that's why you need to make sure that the wheel was extremely quiet. 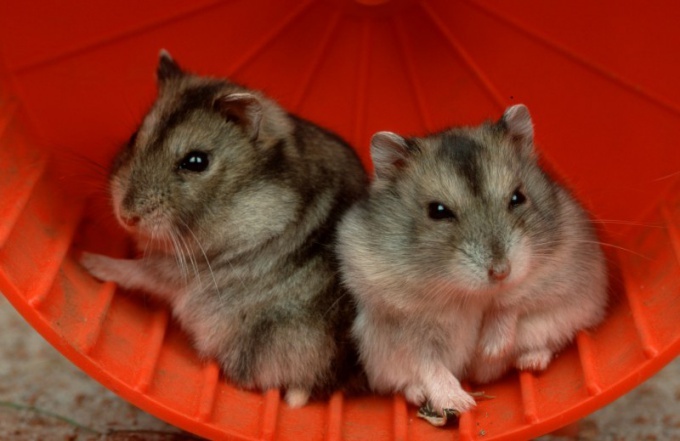 Even if your hamster is still small, this is not a reason to buy him a little wheel: hamsters grow very quickly. 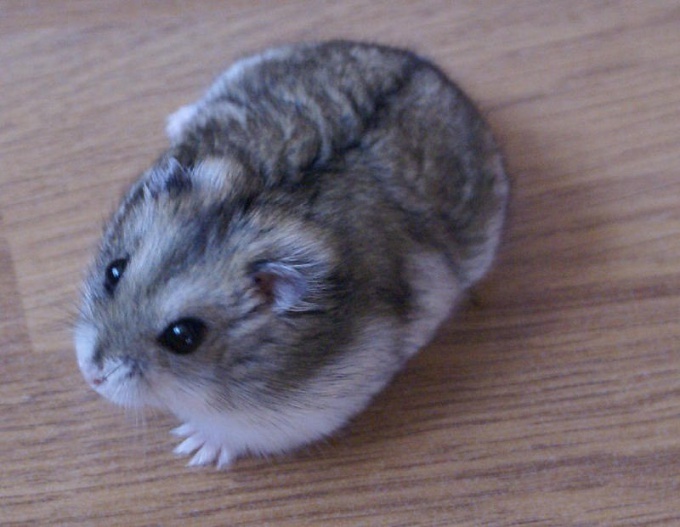 Small wheels are suitable only for dwarf hamsters. If you keep several hamsters, do not put them before necessity to share one wheel. Let the wheels get too few, or between animals may start fighting. In order for your animal was fit and healthy, don't limit it to a "gym" with only one wheel. Hamsters need a variety of loads. Pleasure balls, stairs, houses and socket will not allow the animal to get bored.